It is a very long process, however, Kay and Rachel are very patient. 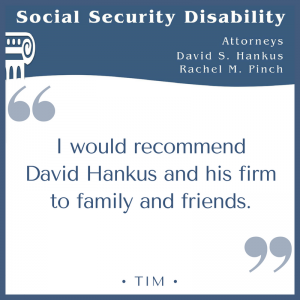 David prepared me for the hearing and we won! 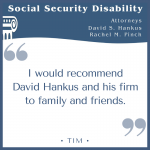 I would recommend David Hankus and his firm to family and friends.